To catch up from last week, we are making steady progress. Next month there’s 2 schooling shows I want to do, so I’m feeling more motivated to have each ride count. On Tuesday I did a flat ride. We worked on shoulder in for a bit, and then on being straight and very accurate in our circles. No shoulders falling in or out. Plus we did lots of work on the free walk. It counts for double so it’s a real opportunity to get some extra points. Wednesday I suited up for a jump ride, but alas it got dark so early! 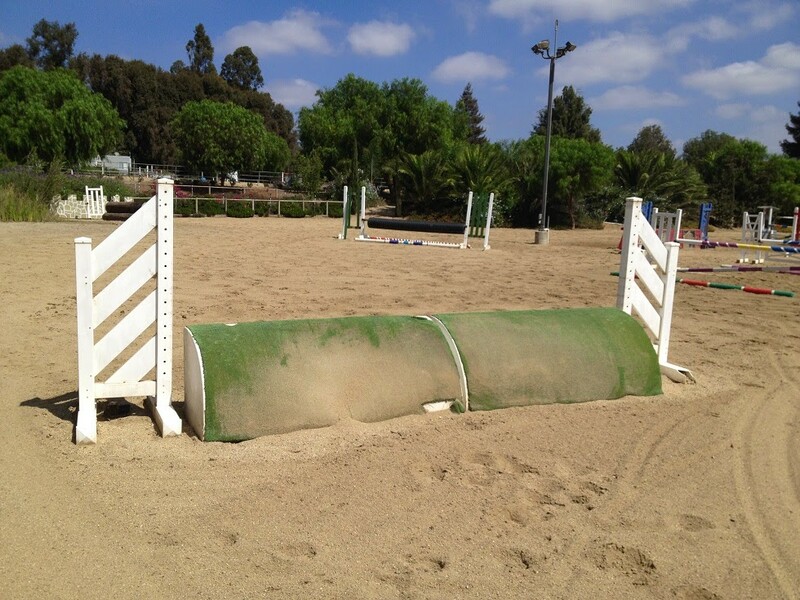 We hopped over only 2 jumps, and the 2nd one was a little exciting – he completely over jumped it. I realized that he probably couldn’t see the jump very well because of the fading light and it would be unfair to try and do any more, so we did some flatwork and called it a night. I focused on getting him really in front of the leg and connecting to the bridle, which was a a good challenge since he was hot. 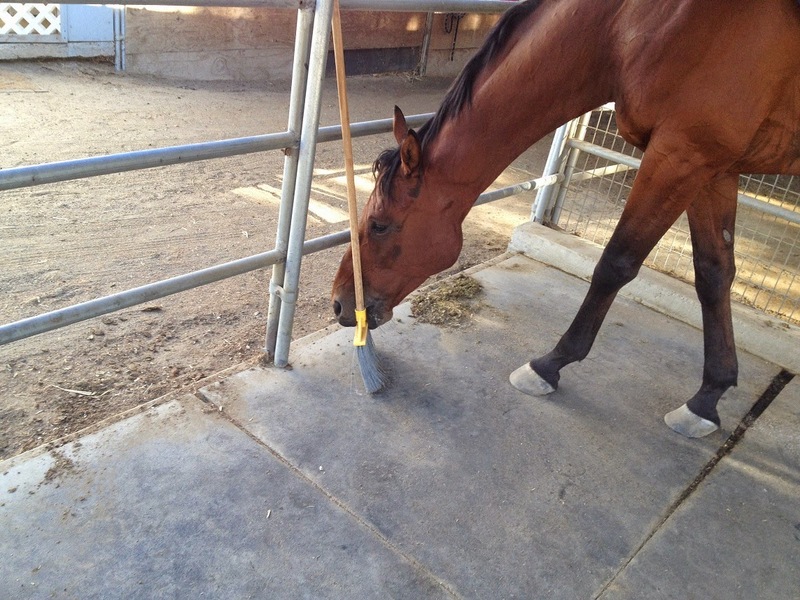 Mr. Mouthy is learning how to clean up the cross ties! On Thursday we had a dressage lesson and it went very well. Hemie wanted to spook, but his heart wasn’t in it – throughout the ride he’d give random things or sounds the bug-eye, then just move on and continue working. Laurie is having us work on more collection and asking Hemie to step up under himself more. One exercise was doing very small circles at sitting trot, then larger circles at posting trot, with lots of bend. This helped with getting him to focus, too. 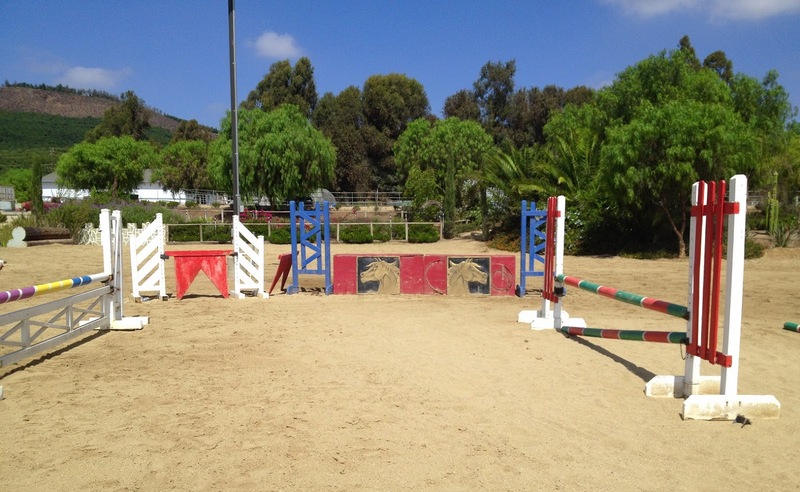 Then we did the red solid jump, and finished by cantering the skinny jump a few times. Hemie really loves the more technical questions, and I could feel him lock on to the skinny and lengthen his stride to it. Laurie kept on raising the skinny and by the end had it at “Prelim level skinny” which we took from a very forward gallop. 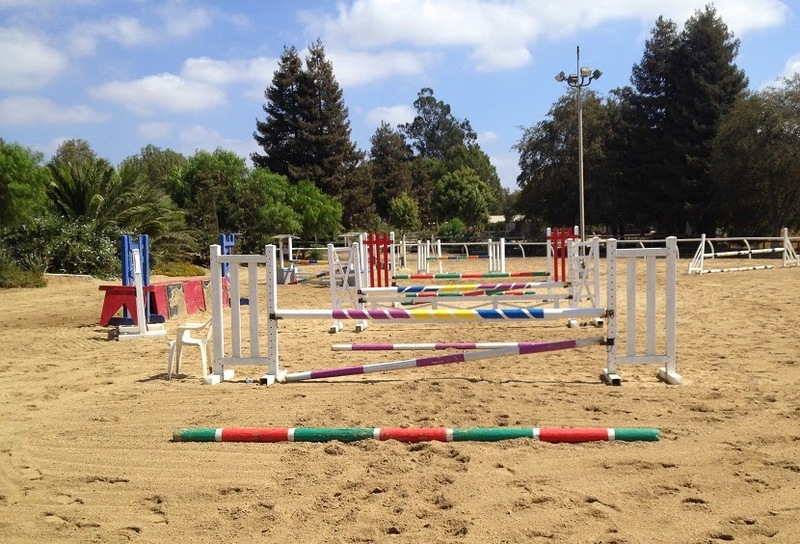 In these moments, when I’m a little intimidated of a jump, its wonderful that I can trust Hemie to take care of us. A little voice in my head wanted to slow him down and micromanage the jump, but luckily the louder voice in my head told me to not do anything and just let him do it. That is trust. Hemie got lots of pats and snuggles of course. On Sunday I watched TK on Levi at a local dressage show (they rocked it), did touch-up to Hemie’s hooves, and did some practice driving with the trailer including 3-point-turns (which are a lot more challenging than one would think). Next weekend will be my debut trailering with horses inside! Hemie and I then went out on a trail ride all alone. 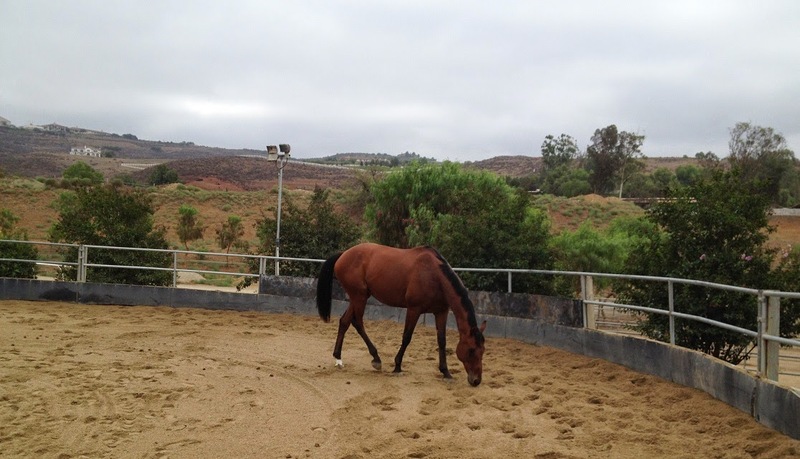 We hack around the property often, but it had been a while since we left the stable and hit the trails. We have to ride on busy public roads to get to any trails, which always makes me a little nervous. Plus the trails are not well maintained and there were target shooters out practicing in an adjacent area, so our ride wasn’t as scenic or relaxing as I’d hoped, but that’s okay. I like the circle exercise and seeing your jump pics makes me really miss legit jumping. I'm glad you are having good fun rides. Yay for jumping a Prelim level jump! Sounds like a great lesson, totally stealing some jump ideas from it! I want a skinny like that! Urghhhh I love to micromanage. Please teach me how you resist!